I recently joined a fun facebook group called Virtual Plein Air, where the objective is to share painting from sketches made based on a random locations found using Google Map. What a great idea! 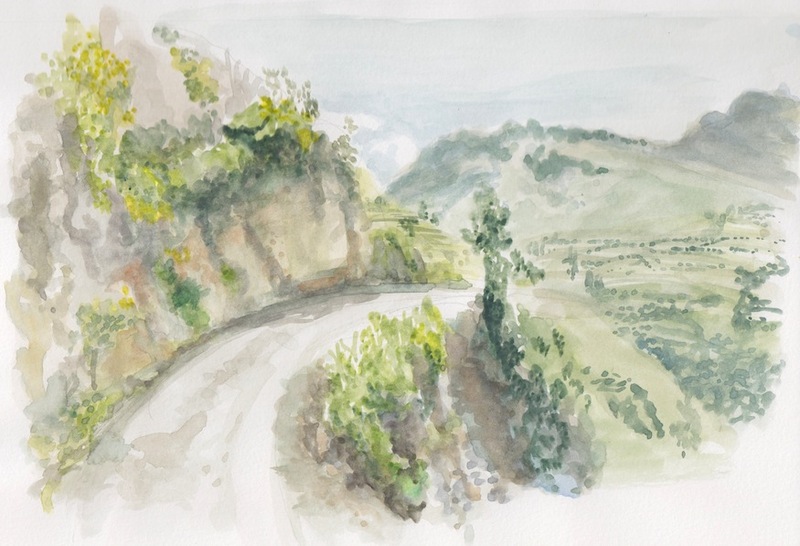 It's a great way to keep practicing watercolors and to virtually travel at the same time. Of course I had to give it a try and found this beautiful place in the Yauyos Province of Peru. It interesting to see how much space is still to be revealed on Google map. 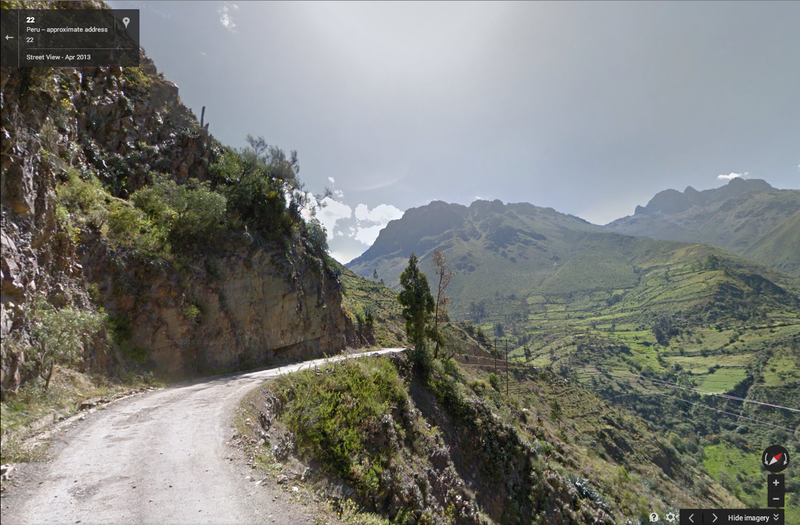 This road leads to the Reserva Paisajística Nor Yauyos-Cochas (Nor Yauyos-Cochas Landscape Reserve) but the virtual tour stops here. Hopefully, they will continue to document this area all the way to the reserve at some point in the near future.